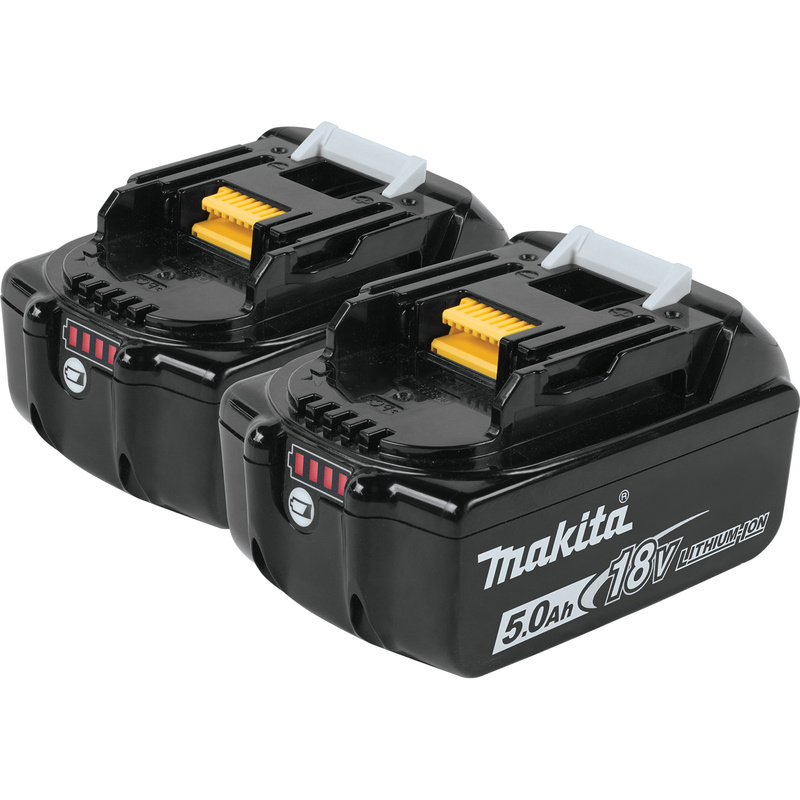 Makita LXT® Battery pack in black/red color, provides up to 65% more run time per charge compared to BL1830. It comes with category-leading charge time of 45 minutes. It withstands overloading, over-discharging and over-heating. This battery pack features 16 contact terminals for a constant connection with tool. This lithium-ion battery with 5 Ah capacity, provides long lasting and reliable power. the battery resists self-discharge and remains ready for use even after long periods of storage.